Greetings, we have a full weekend coming up ! First, Annie is loving the continuation of getting the Old Southeast Market landscaping in, plus we have been bringing fresh Herbs and Exotic Tropicals during the week. 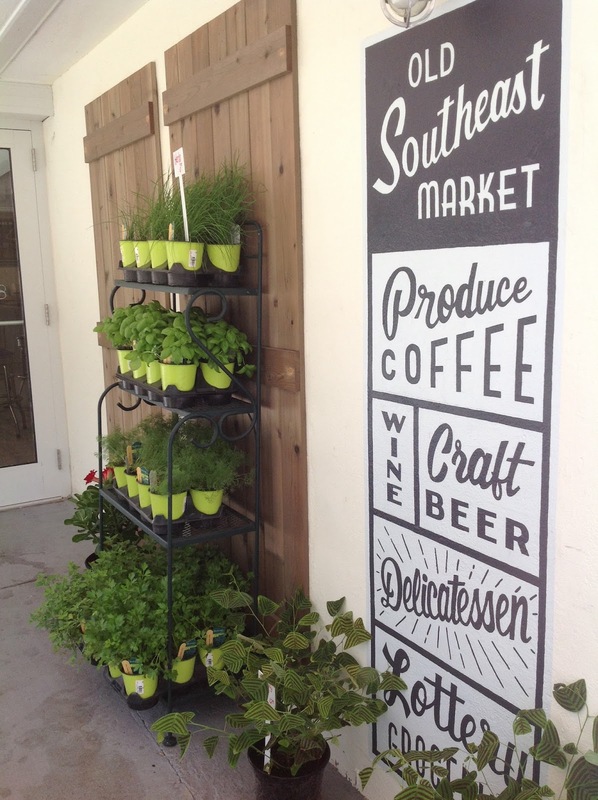 The Old Southeast Market, located at 1700 3rd Street south, just south of Thrill Hill, on the southside of St. Pete, continues to fill their store with great products. If you have headed down 3rd Street south towards Chattaway Resteraunt, you know the area ! They will continue their current soft opening with hours of 8am-8pm daily. The Grand Opening is coming in early November where the Mayor and City Staff will be there to officially cut the ribbon. Armstrong Nursery will be set up there this Sunday, Sept. 13th, from 10am-5pm with tons of great plants, including the Butterfly Wing, Herbs, Passion Flowers and much more. Saturday, Sept. 12th, join us at the USF Bayboro Campus for a giant block party as USF St. Petersburg and the City of St. Petersburg, FL celebrate their 50-year anniversary in style! This FREE event is open to the public and will feature a Tampa Bay Rowdies soccer clinic, the unveiling of a beer by 3 Daughters Brewery to commemorate the year; Saturday Morning Market Vendors, entertainment and various children's activities. The event will culminate with the official co-naming of 2nd Street South to University Way and an AARP card presentation to USF St. Petersburg! Learn more at http://www.usfsp.edu/50years. *** Armstrong Nursery will be set up in the parking lot, by the stage, on 6th avenue south between 1st and 2nd streets. 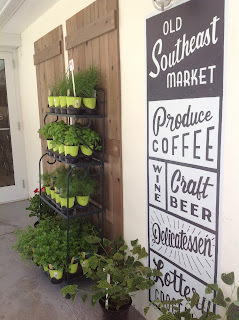 Join us and a lot of great Saturday Morning Market vendor pals, along with other great St. Pete artisans ! The event runs 9am-3pm. Saturday, Sept. 12th, Crescent Lake Park Happening - the 13th Annual Teen BBQ cookoff and Community Yard Sale takes place at Crescent lake Park, here in St. Pete. The park is located along 22nd avenue north, between 5 & 7th streets. There will be hundreds of booths set up selling Yard Sale type stuff at great bargain prices, and new and Gently used items too. This great event benefit the City of St. Pete Teen programs. Along with the Community Yard Sale, there is tons of fun for families and alike to enjoy, with great food, kids activities, live music and demos. This event runs 8am-1pm. ***Look for Armstrong Nursery at the beginning of vendor row which is near the NE corner of the park. Look for our tent and banners! We will have great plants, Yard Decor and, Annie is cleaning out her son's closet and we have HESS trucks, Legos, Thomas trains, Board games and more ! We hope you can visit us at one or more of these busy 3 events this weekend and get out and enjoy your community from the Southside to the Northside !